Each day this week leading up to the opening of the Winter Olympics (Friday, 7:30 p.m. ET, NBC), PopWatch on Ice presents a Top 5 list from Scott Hamilton, the 1984 men’s figure skating gold medalist who heads to Vancouver to call his sixth Games. Today’s topic: The 5 most memorable Olympic figure skating falls. Check out Hamilton’s picks after the jump (with video, to relive the pain), then offer your own. 1. Kurt Browning’s Short Program in Albertville 1992. The fall on the triple axel cost him any chance of winning the Gold. He came in as the reigning World Champion and left without a medal of any kind. 2. Barbara Underhill and Paul Martini in 1984. They looked unbeatable all week but ran into each other during a simple sit spin in the short program. They didn’t medal in Sarajevo, but came back to win the World Championships a month later. 3. Tai Babilonia and Randy Gardner in 1980. Randy had a leg injury and got an injection to get some pain relief. The falls he took in the warm up for the short program broke the hearts of everyone in America. 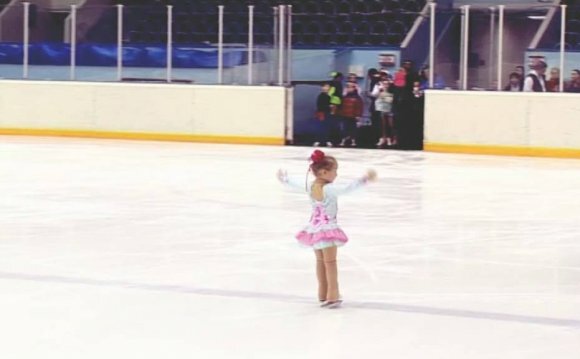 They had to withdraw from the competition moments before they were to compete for the Gold as reigning World Champions. 4. Laetitia Hubert from France fell MANY times in the 1992 Albertville Games in front of her home country. What made it memorable was the fact that Verne Lundquist and I were imitated by Phil Hartman and Dana Carvey the week before calling a program with many falls. Oooh! And now he’s going to Ooooh. And Ooooh! You get the idea. By her third fall, I stopped talking all together. All Verne could muster was, after her fourth fall, “Bless her heart she’s exhausted!!”. I laughed for an hour! 5. I guess looking back over all the Olympics I have called, the one fall that seemed so unfair was Michelle Kwan’s triple flip in Salt Lake 2002. It ended up being her last chance to win an Olympic Gold Medal. She just leaned a little forward on the takeoff and that lean amplified in the air. It was that ONE mistake that cost her the only title she wasn’t ever able to achieve.